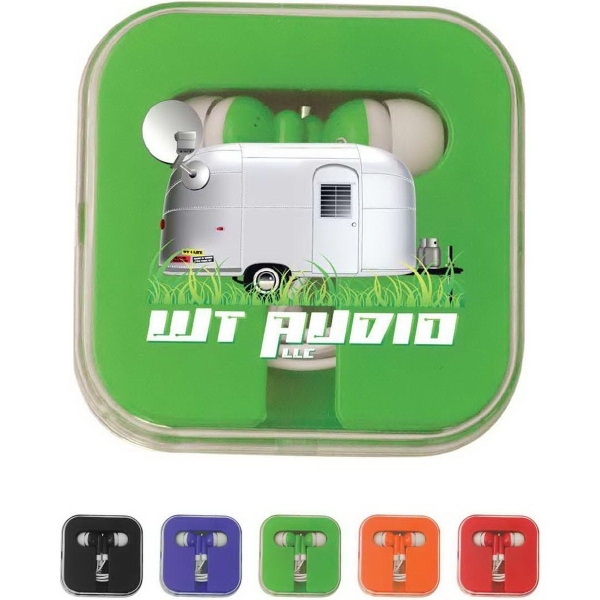 Show your customers that you're in tune with what they need when you advertise your company on these Earbuds with Square Case! The plastic case that the earbuds come in can be used again and again. The wire wraps around the edge of the plastic case for an easy, tangle free way to store the headphones. Available in several fun and bold colors, these earbuds work with any standard headphone jack. They're a great promotional tool for concerts, radio stations and more. Look no further for a cool way to promote your brand and logo! A one time set-up fee will be added for imprinting. This item requires a minimum quantity of 150.